As a young girl in Ethiopia, Alemnesh was taken out of primary school for marriage. She eventually ran home – however such girls become a burden to their families as they have few skills, and are an extra mouth to feed. Bees for Development taught her beekeeping and her life has changed – for the first time she has her own money and this means she can begin to make her own decisions. Child marriage is at a high level where we work in the Amhara region of Ethiopia. Child marriage is perpetuated by poverty, lack of access to education, and the absence of economic opportunities. Girls like Alemnesh who are married before the age of 15 are commonly illiterate, having missed out on education, and if they leave the marriage and return home, their prospects look bleak. The Power of Bees. Bees offer a wonderful way to help people in extreme poverty. Bees do not need to be fed: they find their own food and water. Simple hives can be well made from locally available materials, and bees are freely available from nature. Beekeeping is even possible for people with no land of their own. It offers a feasible livelihood option, with good markets for honey and beeswax.. Bees for Development fights chronic poverty by targeting the most disadvantaged groups: single women, young people, families without land or other assets, and people with disabilities. We help them to obtain bees, establish apiaries, and develop profitable beekeeping enterprises. People learn to sell honey and beeswax and to earn their own income – like Alemnesh – for the first time in their life. 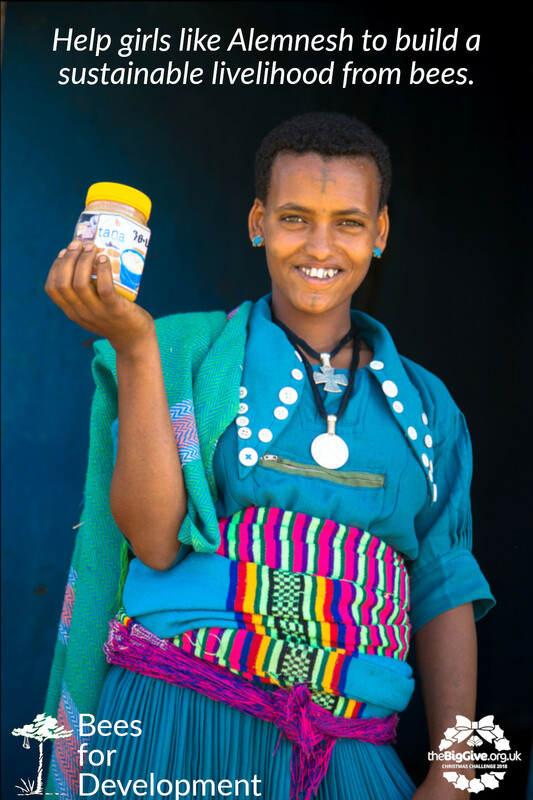 Please help the poorest people in Amhara to create worthwhile livelihoods by caring for bees. Please give now to make the difference.